Week 34 of project 365 2015 has passed by in a bit of a blur and it is only the pictures on my phone that has jolted my memory of what we actually did this week! 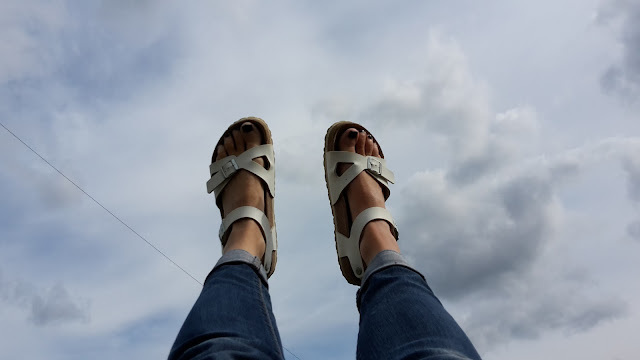 A quiet day locally; we went for a walk/scoot around the block and ended up in the big swing at the park. This is always a pleasant spot to chill whilst the kiddos give me a push. We took a walk into town today to return library books and pick up a few things from the shops. We stopped off in the town park where the kiddos were happy the zip slide had been mended. 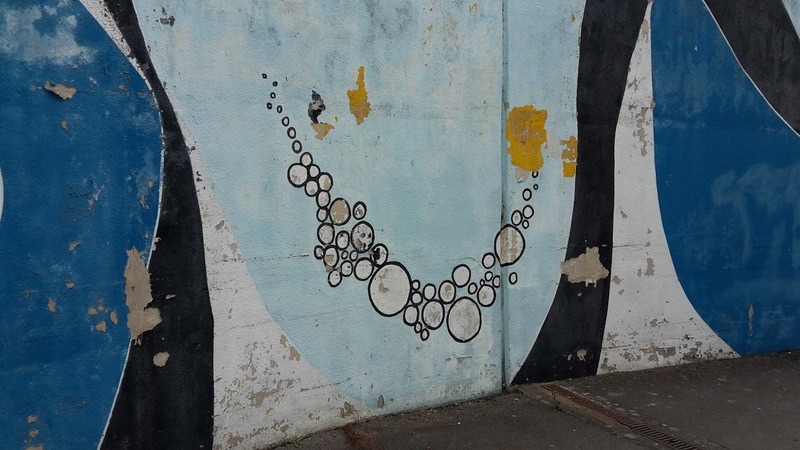 On return through the underpass we noticed the graffiti that needs a bit of a touch up. 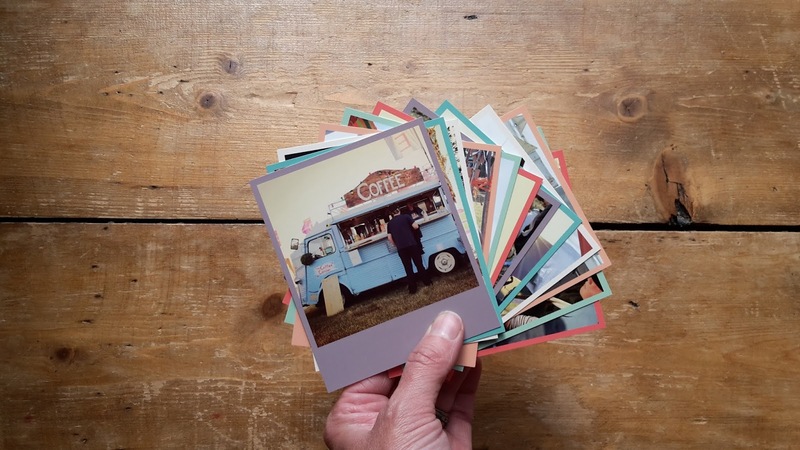 My lovely polaroid images arrived from Square Snaps - if you fancy entering my competition take a look here! A bit of a lazy one again today; we made playdough, the children played with it for ages and I washed my hair with egg. 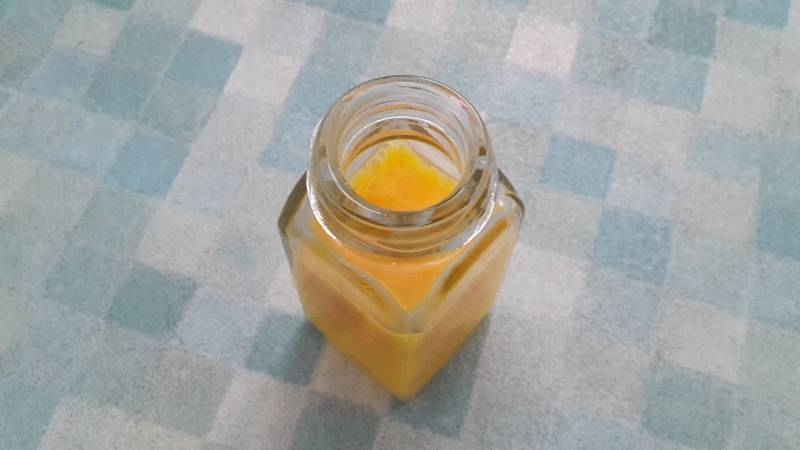 It's all part of my 'no poo' regime. We got out today and met up with friends at Westonbirt Arboretum. 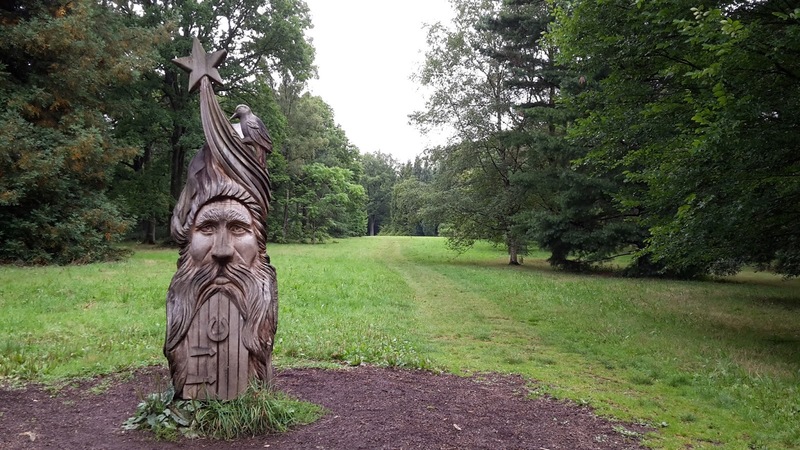 We dodged the rain doing some ink art and went on a lovely long walk through Silk Wood where we discovered this beautiful sculpture. I ran this morning. I had to get my virtual 10k done before the end of August and this was the only window I had. It was difficult but I got a sub 60 minute time so happy with that. 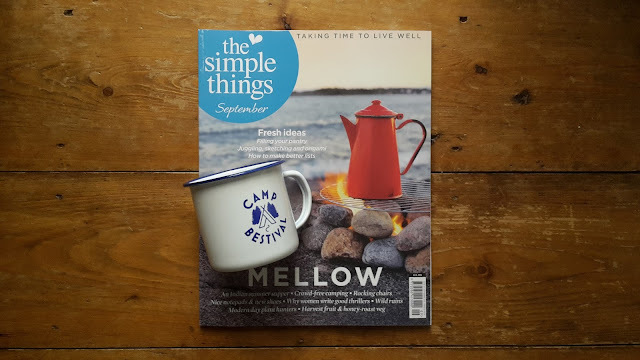 When I got back the postman had been leaving me my latest Simple Things magazine and Camp Bestival camping mug that I ordered weeks ago! Back home to Norfolk today with the kiddos. 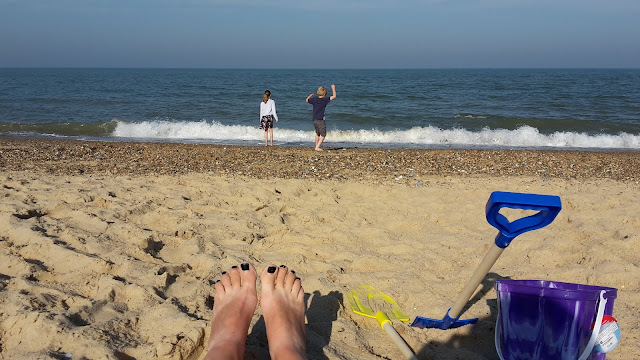 We drove five hours and headed straight to the beach at Winterton on Sea to get our sea air and sand between our toes fix before heading to my brother's house. We're now looking forward to some beach action for the next few days!